1. You can prepare your paper based on the following template IPRJB format guideline.docx or IPRJB format guideline.doc. 2. Email your paper to the editor with a claim that the content is original. You will get a notification from the editor confirming the submission. 3. Review comments will be returned to be the authors. Authors may receive, 1) Publish Unaltered, 2) Minor revision, 3) Major revision, or 4) Rejection. 4. Submit your final article (if required) before the deadline mentioned in the acceptance letter. 5. Online / Printed publication would usually be done within 20 days. 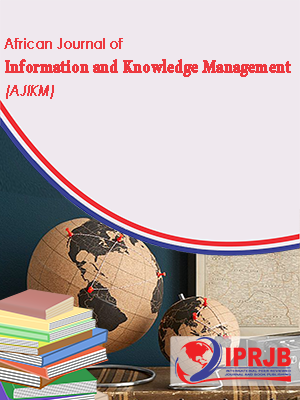 African journal of knowledge and information management (AJKM) is a peer reviewed journal published by IPRJB. The journal is published in printed and online version. 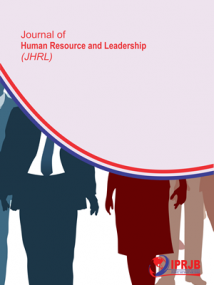 Being a high factor journal AJKM is accredited for redirecting knowledge and information in new direction. 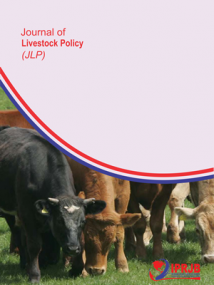 Journal of livestock policy (JLP) is a peer reviewed journal published by IPRJB. 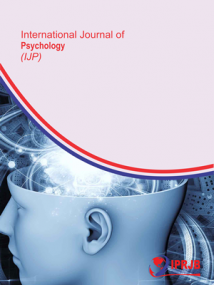 It is a high impact factor journal published both in printed and online version. It has welcome submission information on animal genetics, nutrition, genetics, reproduction, production system of the highest quality content. 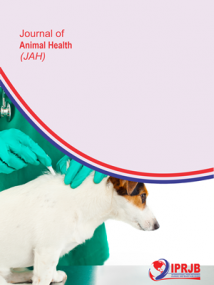 Journal of Animal Health and Production(JAHP) is a high impact factor journal published by IPRJB.The journal contains high quality information on animal husbandry and vetinary science. The branch of knowledge are nutrition, management microbiology ,pathology anatomy pharmacology ,parasitology vetinary breeding and genetics. Journal of Animal health and Production also gives room to studies related to laboratories research. 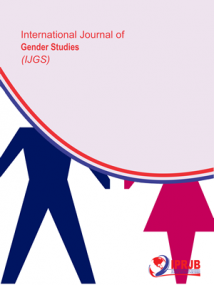 International Journal of Sociology (IJS) is a peer reviewed journal by IPRJB.The journey is under the social science journal that uses investrical and critical analysis to study society. 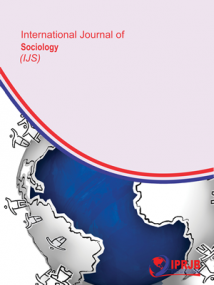 The discipline of (IJS) matters from micro and macro sociology to social structure .IPRJB has published the journal both in online and printed version . International Journal of Gender studies(IJGS) is a peer reviewed journal published by IPRJB both in online and printed version.The journal is accredited for its devotion in study related to indentity and gender representation .The fields of IJGS are women studies ,men’s studies and queer studies.It also analyze how race ethnicity , location, class ,nationality and disability intersect with categories of gender and sexuality. 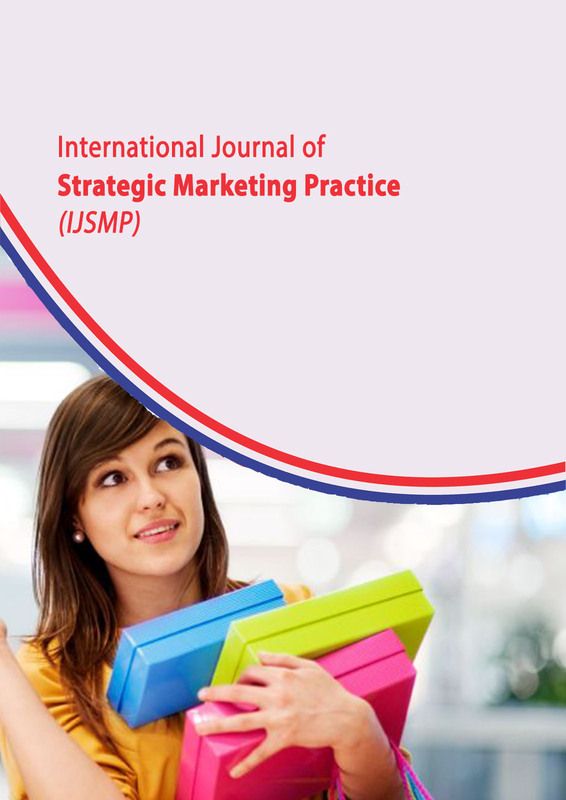 International Journal of Strategic Marketing Practice (IJSMP) is a peer reviewed journal published by IPRJB. The journal is published in printed and online version. Being a high factor journal IJSMP is accredited ISSN and DOAJ bodies world wide. 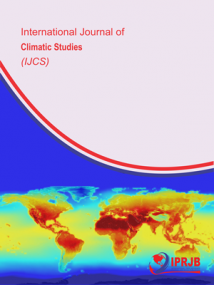 International Journal of Climate Studies (IJCS) is a speedy reviewed journal .Its among the best web of science journals that is accredited for high quality information on means of exchange among those working in different discipline on problems related to climatic variation. Published by IPRJB in both online and printed version IJCS is also dedicated to the totality of the problem of climatic variability and change –its description implication . 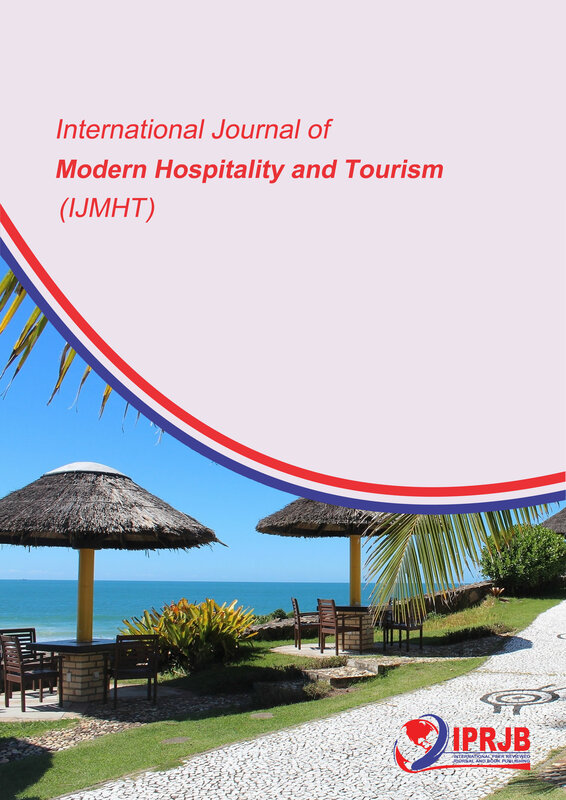 International Journal of Modern Hospitality and Tourism (IJMHT) is a peer reviewed journal published by IPRJB. The journal is published in printed and online version. Being a high factor journal IJMHT is accredited for redirecting knowledge and information in the field of Hospitality and tourism. 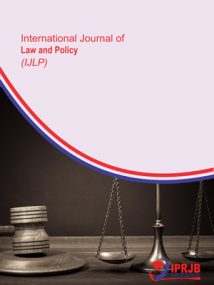 International Journal of law and Policy (IJLP) is a peer reviewed journal published both online and printed version by IPRJB .The journal offers credible information on interdisciplinary journal of research and commentary concentration on the intersection of law ( public contract law ,energy law ,health law ,criminal law, transport law etc) and policy. 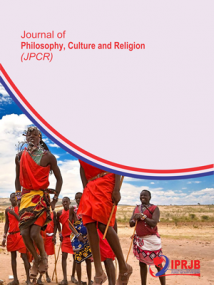 Journal of Philosophy Culture and Religion(JPCR) is a high factor journal published by IPRJB.It aims at promoting of scholarship and provision of astute academic research on religion philosophy and culture, their interaction and interrelations broadly defined as product of mass culture. The journal is international in scope and encourage the idea of ideas, especially between borderline of philosophy and other discipline. 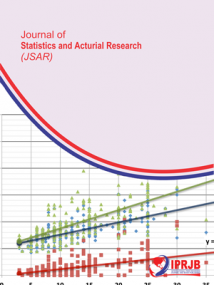 International Journal of Statistics and Actuarial Research(IJSAR) is a peer reviewed journal published by IPRJB.Published both online and printed version the journal aims at bringing into light the domain of actuarial science and statistics which include data collection ,types of data ,terminology and theory of inferential statistics ,history of statistic science ,matching learning and date mining ,preformalization etc. Original articles across the whole scope and up to date review papers. 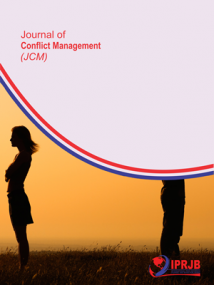 Journal of Conflict management( JCM ) is a peer reviewed journal published by IPRJB .Published both online and printed version JCM provide researchers and scholars with the latest studies and theories on the causes of and solutions to the full range of human conflict .JCM also offers information on conflict between state and state ,but also explores variety of inter –group and interpersonal conflicts that may help in understanding problems of war and peace. Journal of Psychology ( JP) is a peer reviewed journal by published by IPRJB .JP contains empirical research and theoretical articles in applied areas of psychology including behavorial psychology ,clinical psychology ,cognitive psychology ,ethical psychology ,counselling psychology, cultural psychology ,educational psychology etc.Morever to publishing interdisciplinary research that integrates psychology and other fields is also solicited (eg.psychology and law ,psychology and consumer behaviour, psychology and religion.JP is published both online and printed version and is accredited for high quality information . 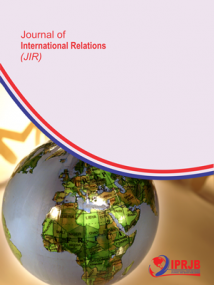 International Journal of Public relations and Communication (IJPR) is a speedy reviewed journal and published by IPRJB.The journal contain vital insight information on public relations reviews that publish invited research on the field of public relations ,mass communication ,organization communication, public opinion formation ,social science research and evaluation and public policy formation. 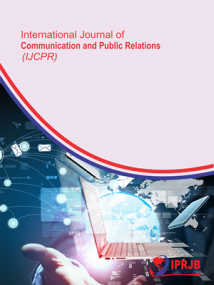 In addition all contribution from the many discipline and approaches that meet at the crossroads that is communication study.IPRJB is published both online and printed version. 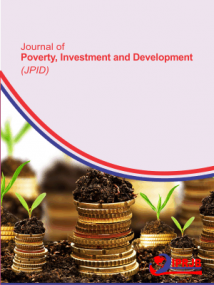 Journal of Poverty Investment and Development(JPID) is a peer reviewed journal by IPRJB .Published both online and printed version it has accredited information on healthcare issues ,hunger education ,living, violence ,poverty reduction ,investment ,public perception and cultural dynamics under the globalization and industrial background ,international development society and population sustainability etc which not limited . 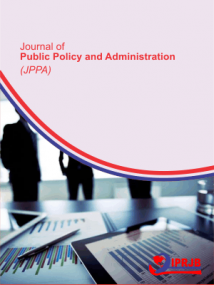 Journal of Public Policy Administration (JPPA) is a speedy reviewed journal published by IPRJB .It aims to publish reviewed material within the broad field of public policy and administration, with its scope also including public administration, policy management ,organizational theory etc.JPPA has been published both online and printed version with high insight information for redirecting new directions. 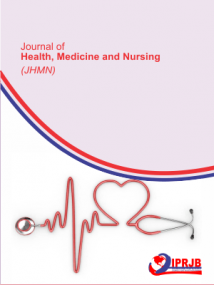 Journal of Health Medicine and Nursing( JHMN) is a peer reviewed journal published by IPRJB.Published both online and printed version the scope of the journal include physical and mental health, diet exercises ,science on health issues ,public health and safety issues ,mechanism in medicine technology and manufacturing of medicine ,diagnosis surgery , health care nursing practices ,nurse training and education ,nursing ethics etc.JHMN is one of the best journal accredited for vital insight information. 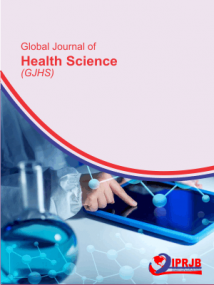 Global Journal of Health Sciences(GJHS) is a peer reviewed access journal .Published both printed and online version by IPRJB it aims to provide a platform for the global research community and share their findings insights and views about all aspect of health science. 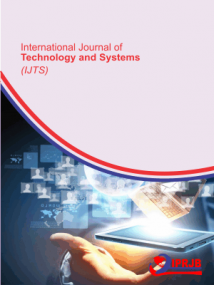 International Journal of Technology and System (IJTS) is a peer reviewed journal published by IPRJB.Published both online and printed version it covers topics that appeals to broad readership of various branches of engineering science and related fields. 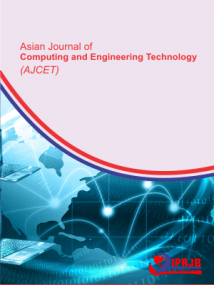 Asian Journal of Computing and Engineering Technology (AJCE) is a peer reviewed journal by IPRJB .Published both online and printed version it focuses on Engineering, Management science and Mathematics ,covers research works on next generation cutting edge technologies and effective marketing strategies. 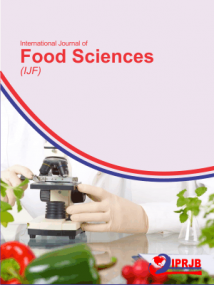 International journal of food Science (IJFS) is a peer reviewed published by IPRJB .It aims at improving knowledge in human nutrition .IJFS provides research and review articles in all areas of food science discussing all aspects of food science ,including but not limited to enhancing shell life ,food deterioration ,food engineering ,food handling ,food processing, food quality ,food safety ,microbiology and nutrition research. 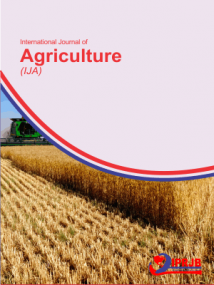 International Journal of Agriculture (IJA) is a speedy reviewed journal published by IPRJB.IJGA aims at advancing agriculture in all its areas that include arid soil research and rehabilitation, agriculture genomics ,stored product research ,tree fruit production, agronomy ,weed biology, pesticide science ,post-harvest biology and technology. Being a high factor journal IJGA is accredited for its vital insight information. 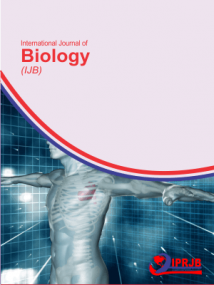 International Journal of Biology( IJB) is a peer reviewed journal by IPRJB.IJB aims at the study of life .It covers branches of biology botany which is the study of plant e.g. ( paleobotany,ecology morphology ,genetics, cycology plant physiology ,taxonomy , anatomy) and zoology the study of animals eg (entomology ,ethology ,herpetology ,cytology ,mammology,orthinology).Being a high factor journal IJB has been published both online and printed version. 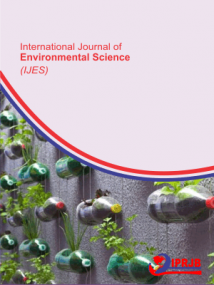 International Journal of Environmental Science ( IJES) is a peer reviewed journal published by IPRJB .It aims to promote understanding of significant environmental issues ,seek publication of major behaviour of upcoming contaminant ,human impact on the environment ,human exposure to environment contaminant and their health effect and environmental ramification and control. The journal being of high factor is also a rub hub for all those who seek to make the earth a better place. 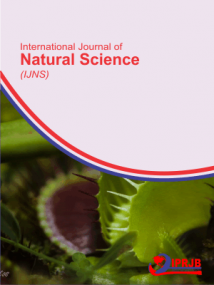 International Journal of Natural Science (IJNS) is a peer reviewed journal by IPRJB. IJNS focuses on chemistry ,divinity ,space science ,physics life science ,earth and a host of other related areas,.IJNS is published both printed and online version for advanced student and reflective practioneers . 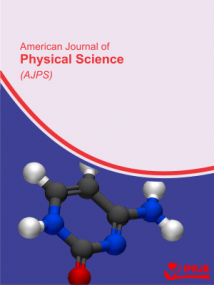 American Journal of Physical Science ( AJPS) is a peer reviewed journal published by IPRJB both online and oriented version .AJPS provides credible information on activities on the field of the physical (chemistry , physics, earth and space science ) and related fields to help build an exceptional value for researchers and librarians in order to help them proactively advance their missions. 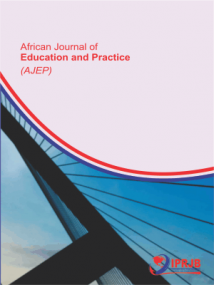 African Journal of education and practice( AJEP) is a peer reviewed African journal published by IPRJB.It has significant findings that provide knowledge to readers on education environments ,innovative responses ,preparation programs ,teaching and learning in all levels education and practice. Published both in printed and online version the journal is of high factor. 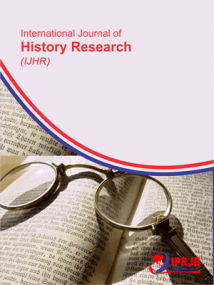 International Journal of History and Research( IJHR) is a peer reviewed journal published by IPRJB.It has accredited information on past history covering a broad range of historical approaches including social ,economic ,political ,diplomatic ,intellectual and cultural .The journal has a broad coverage in terms of both methodology and geographic scope.IJHR is published both online and printed version. International journal of Online and Distance (IJOD) learning is a speedy reviewed journal published by IPRJB .The journal aims to promote and encourage scholarly work in online and distance learning .The journal is published in both online and printed version and contain accredited insight information for redirecting information on new directions. International Journal of Supply Chain Management (IJSCM) is a peer reviewed journal published IPRJB.Published both online and printed version the journal contain high quality ,supply chain empirical research that has significant impact on areas of supply chain but not limited data analytic, demand forecasting, innovation ,integration and collaboration, lean and agile ,procurement ,risk management ,sustainability and value chain strategies are considered. 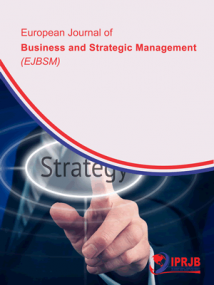 European Journal of Business and Strategic Management (EJBSM) is a peer reviewed journal published by IPRJB. The scopes of the EJBSM include, but not limited to business, management, marketing, finance, economics, human resource management, strategies and decision science. The journal is published in both printed and online versions. The ambition of EJBSM is to become a recognized top tier journal, acclaimed for redirecting international business research and management studies for defining new directions. 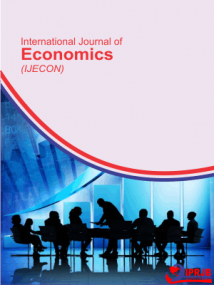 International Journal of Economics is a peer reviewed journal published by IPRJB.The journal is a primary outlet for theoretical and empirical research in all areas of international economics .These include but not limited to the following trade patterns ,commercial policy, international institution ,exchange rates ,open economy ,macroeconomics ,international finance ,international factors mobility. 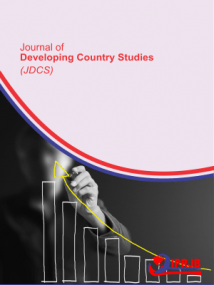 The journal being of a higher factor is published both in printed and online version. 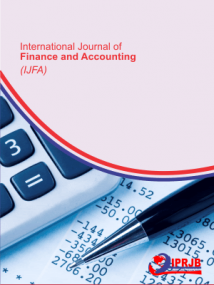 International Journal of Accounting and Finance (IJAF) is a peer reviewed journal published by IPRJB.IJAF emphasize on the interdependency of accounting and finance reflects the increasing complexity of corporate financial management in recent years and v verifies the importance of understanding accounting and finance from an international context. Being a high factor journal IJAF is published in both online and printed version. 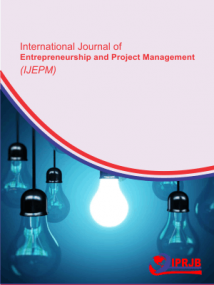 International Journal of Entrepreneurship and Management (IJEM) is a peer reviewed journal published by IPRJB.The journal contains high quality manuscripts dealing with entrepreneurship ,broadly defined and the management of entrepreneurial organization .The journal covers the relationship between management and entrepreneurship including both conceptual and empirical papers leading to an improvement in the understanding of international entrepreneurial perspectives in the organization corncerned.The journal is published both online and printed versions.